So, imagine bourgeois exchange links, rather than just an exchange, a broker with extensive linking capabilities and excellent prices. Market has been on the market since 2007 and has proven to be a good idea, but the Russian-speaking users, it still is little known. And in vain. Burzhuiny not skimp pay for hard currency piaristye links. 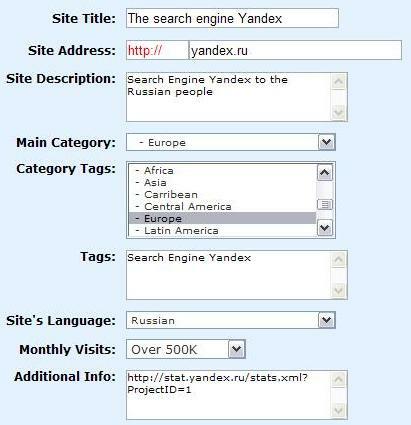 Also, this service will only find for sale links from sites zabanennyh FS Yandex. Then we get to the main page of the Exchange. And push and push button registration service Sign Up. After that appear on the registration page. In the left column select the Partner Acount for registration as a vendor references, Advertiser Account to register as a customer reference or Combo Account - a universal solution. Omechaem checkbox after "I have read, understand, and agree to the terms and conditions" and press Create Account (create an account). To check the soap, turn on the link to confirm registration. 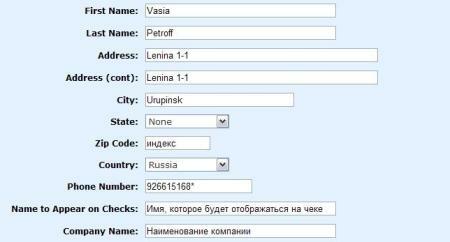 After that, you can enter your account using the user name and password you entered when registering. Immediately after logging in, you get to add a site form, and proceed to the next section. 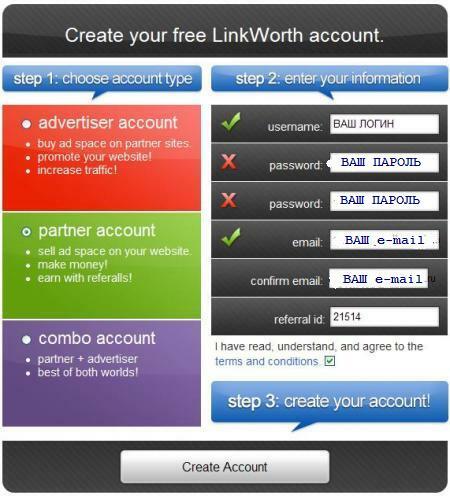 Set "Yes, I want to offer LinkAds, LunkSuras and LinkMuras. I will set at least one location price below." Setup Home Page Price - the price link on the homepage. Set Sub Page Price - the price of links embedded into your site. Sit Site Run Price - the price of all links from the pages of your site (if you do not want to tinker with the inside pages, and the price on them). The following do not change or choose the "I don` t want to offer ... "
Click the Add button (Submit) and get the message that your site is listed and sent for testing. Well, that's all. Waiting moderation adding a site about 24 hours. In the case of approval or disapproval of sites will get a message to the soap. We are looking forward to buying links for good money, provide links. Регистрация: Exchange links "Link Worth"
» Конференция "Поисковая оптимизация и продвижение сайтов в интернете"